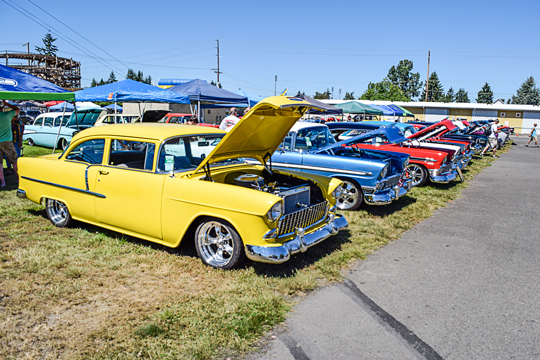 This year’s Cruise-In was held back on August 6th from 3pm to 10 pm at the Milwaukie Bowl located on Harrison Ave. across the Expressway from co-sponsor Mike’s Drive-In. 69 fantastic awards were given out including 5 special Sponsor Pick Trophies. 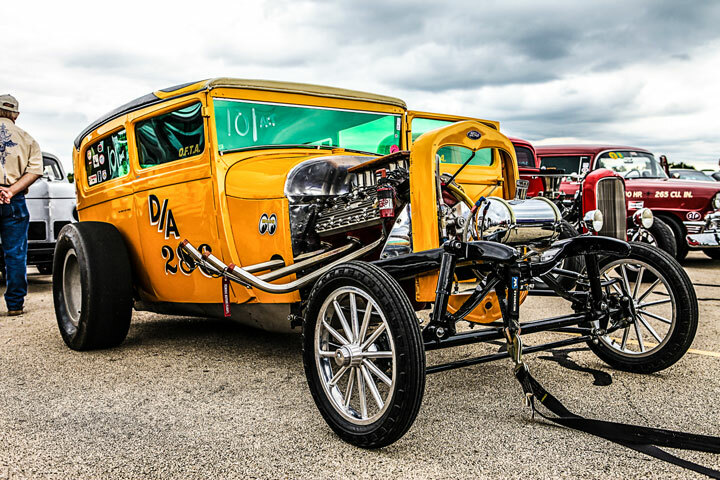 With over 136 Street Rods, Custom Classic Cars and Trucks in attendance including the local MOPAR Club with over 10 cars registered. Live Music was provided by Ron Ruedi in a fenced off special Beer Garden area. 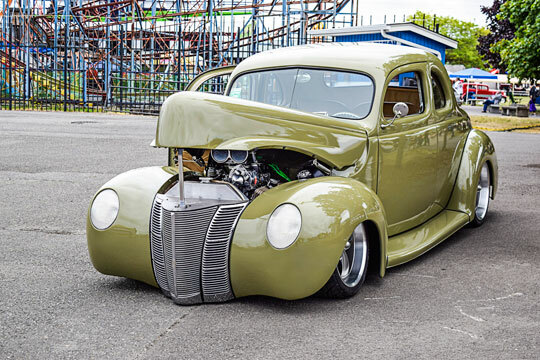 The Benefit for the Missing in America Project and the Veterans Lines for Life, raised over $2800 dollars for the two local Veterans programs sponsored by the Pharaohs Street Rodders. It was a great show complete with Dash Plaques, Special T-Shirts, $1.00 Root Beer Floats & Hot Dogs and Chips plus special Glow Bowling games all day inside. Dirty Dave the Record Slave played Golden Oldies on request till 6pm to the hundreds of people in attendance. 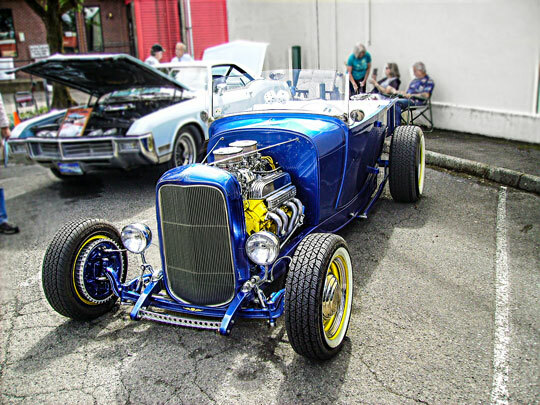 Thanks to all for helping raise funds for our local veterans programs and thanks to all the volunteers making this year’s Milwaukie Cruise-In show one of the best ever. 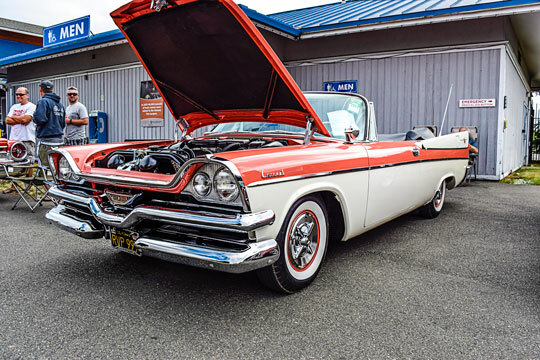 Have you ever noticed that when you retire everyone asks, “How’s retirement?” “What are you going to do now?” I just retired after 35+ years from a great job with NAPA Auto Parts and I started to think about my bucket list; how I now, could possibly get some of the things on my list checked off. Last January I happened to see an ad for the Rolex Monterey Motorsports Reunion featuring the 50-year anniversary of Can Am and Trans Am race cars. This has always been part of my bucket list before I even knew what a bucket list was. You know, sleek bodies, big tires, tall velocity stacks, giant wings… cars that go up to 185 MPH: McLaren, Lola, Shadow, Ferraris… I could go on and on. As a gearhead I have always loved auto racing, of course, and the Can Am cars have always been my favorite. As we drove down the road I made contact with my cousin, Pat, in Gilroy, CA. Thank you! She had a place for us to stay that night. Meanwhile, back at home my wife was searching for a place for the rest of the weekend. She found one closer to the track than the original place, only costing twice as much instead of the 3-4 times as much as thought it might be. 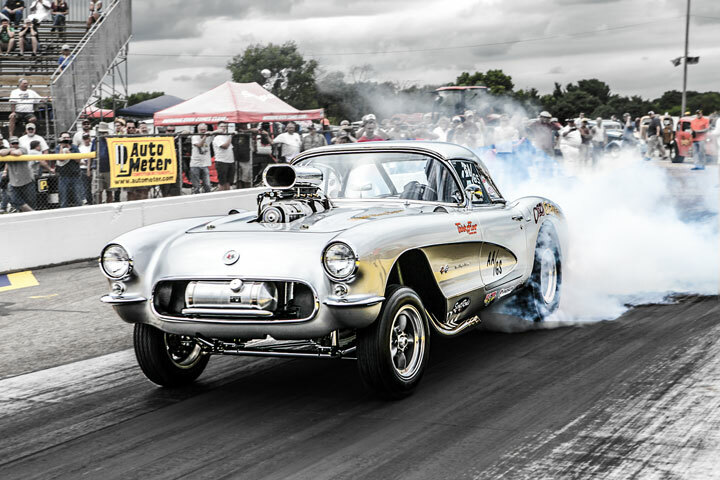 Arriving at the track, I was completely overwhelmed seeing cars that I had only seen in magazines and on TV. 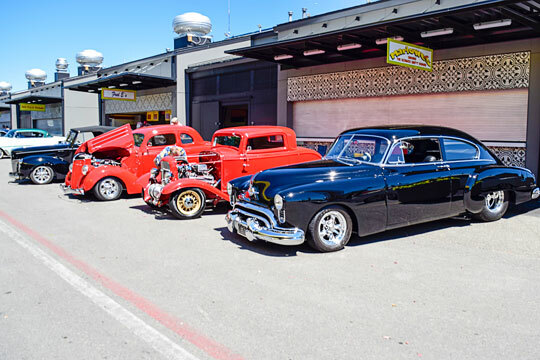 The historic race is a giant event with cars from all of the US, Europe and Australia. Can Am cars more local to me, the Tacoma area, Willamette Valley and the southern Oregon coast area had representation. Thank goodness for shuttles. The Mazda Raceway is not level as it is built in a valley. The races go up and down hills on the course. At the top of the highest hill is a turn fittingly called “the corkscrew.” It is an S curve that drops three stories in less than an eighth of a mile. Pretty impressive to watch the cars come around at the top and follow them down the corkscrew! 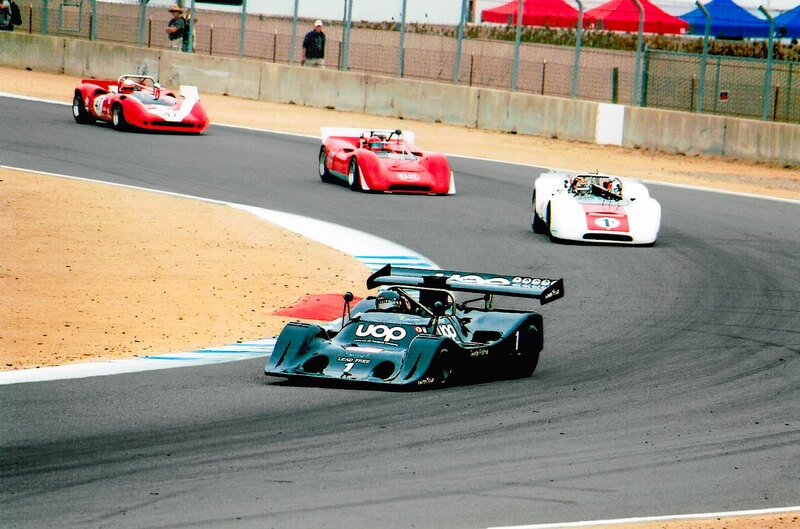 In the pits was where I saw one of my favorite Can Am cars, a 1971 Shadow Mark II. 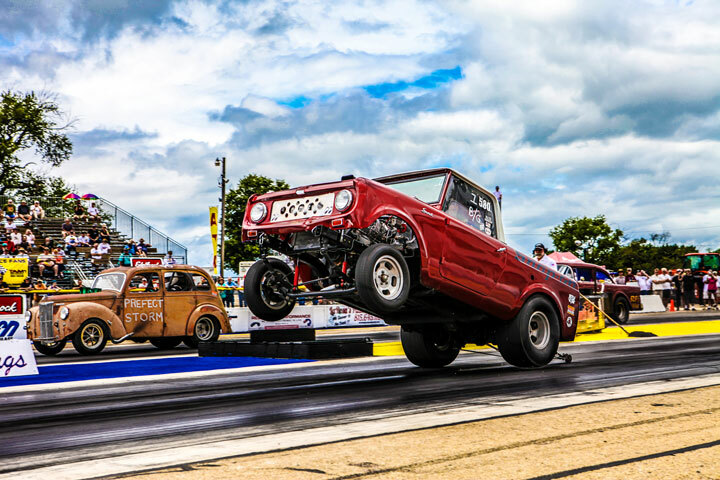 It has small diameter tires, extreme aerodynamics and a Chevy V-8 engine that has approximately 800HP! 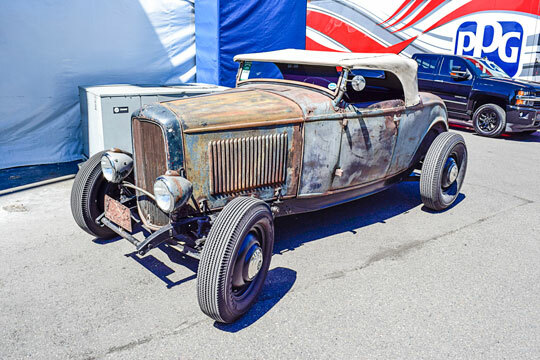 I met the current owner, Dennis Losher and we were able to talk for a long time about the car. He even let me sit in it! Getting into a Can Am car is feat in itself-put your hands here, don’t touch this, don’t touch that, stand on the seat, (yes the seat), straighten your legs, slide down into the seat. Squeeze and wiggle, then you’re in! I could imagine what it is like to race this car. 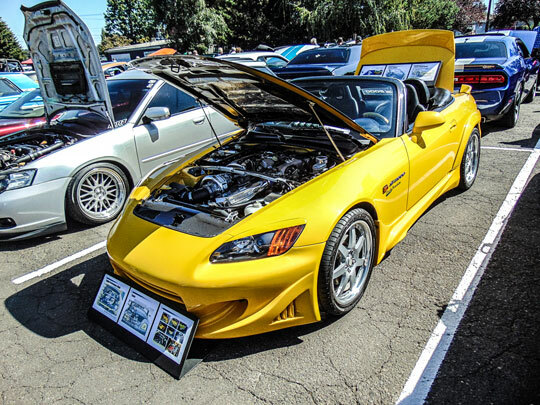 You can’t see the front end because it drops off so quickly-better aerodynamics. 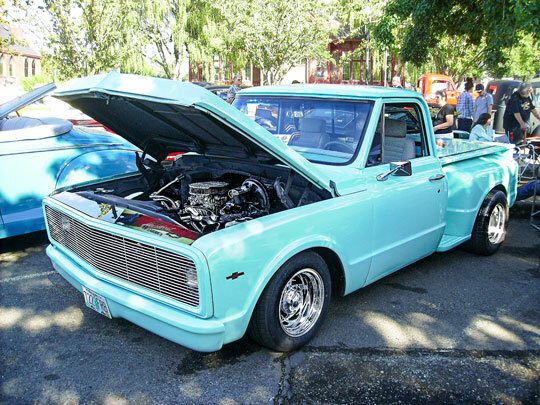 The engine is right behind you and the velocity stacks are right above your head. Pretty amazing. While I was in the Shadow pit area, I met Don Nichols, designer and engineer of the first tiny tire Shadow. Even at the age of 93 he is still sharp. He told me how they built the front suspension with small coil springs the size of engine valve springs. I also got to meet up with a former co-worker and his McLaren M8E/D Can Am car. His car was on display only-oil and coolant don’t mix, possibly a cracked block. 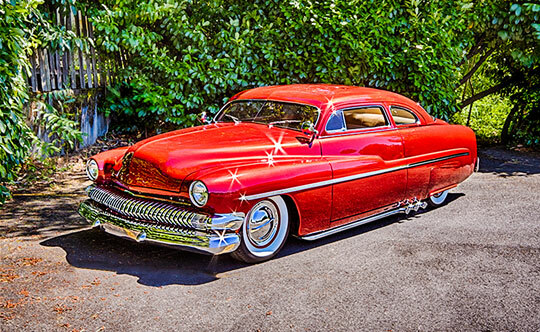 If you think traffic in Portland is bad, try the Monterey Bay area with the historic Races, Pebble Beach Concourse D’Elegance Car Show and several auto auctions and car shows going on at the same time! We also watched vintage Formula 1 Races. They were exciting, loud and fast Lotus, Brabham, Ferrari, March and Tyrell race cars. The Trans Am cars were just brute power, fast and loud. 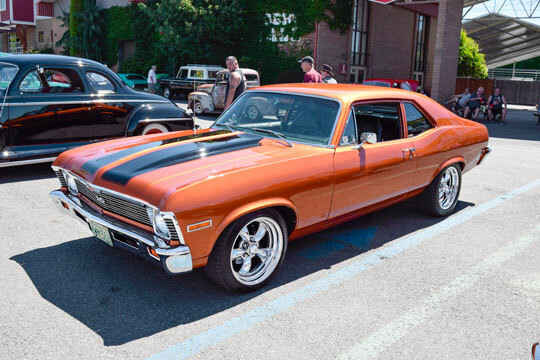 Muscle cars you see on the street: Mustangs Camaros, Javelins and a Dodge Challenger were represented there. Quite something to feel and hear. Getting older is interesting. Leaving behind some important things was humbling (did I mention my glasses?). I left them in a restaurant and got them back also. But I did quickly get into my new habit of checking as I stood up to go anywhere: wallet, glasses, phone, keys-wallet, glasses, phone, keys… so with help from family, old and new friends and my wife who is not afraid of computers, I was able to check one thing off my bucket list. It was a memorable weekend and my own bed never looked and felt so good! 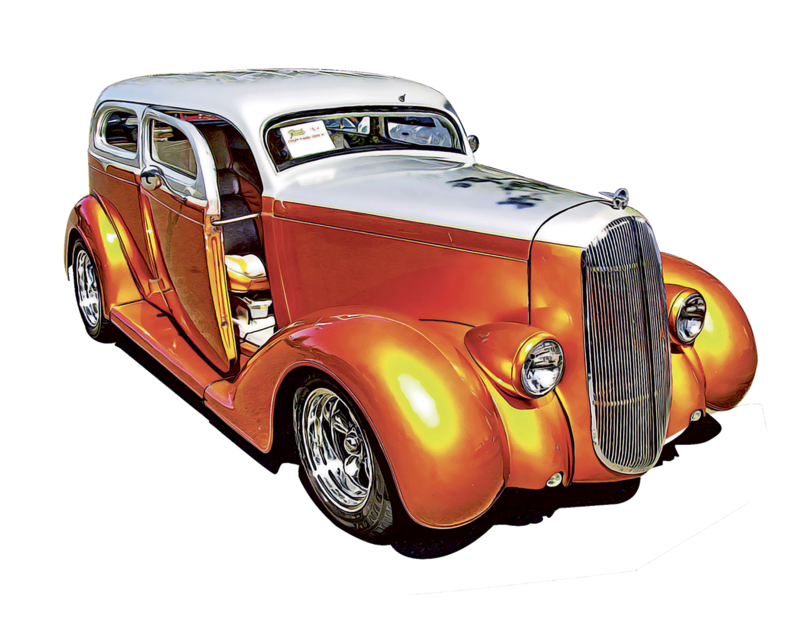 The GoodGuys host three-day weekend, first class car shows all over America every year starting in March and continuing through November. 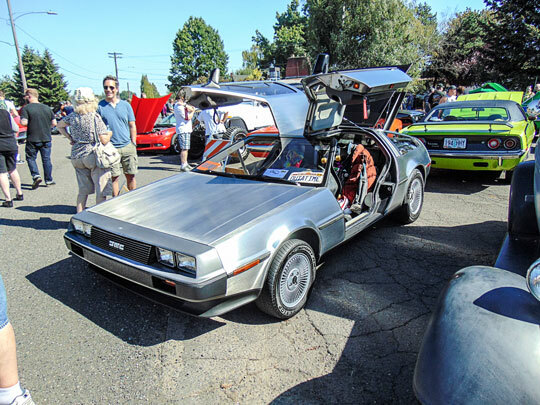 We, here in the NorthWest are lucky enough to get two of these events right here in our own back yard, one in the Seattle area, Puyallup Washington and one in Spokane. Pleasanton California, their home turf or kinda where it all began, gets four shows a year. Definitely worth the drive from almost anywhere out west and beyond. 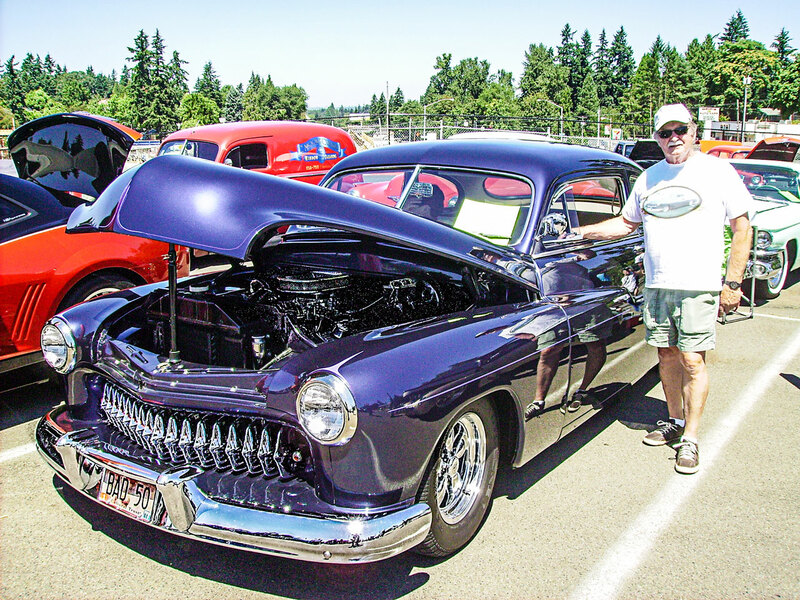 I’ve been going to these long before Roddin’ & Racin’ NorthWest ever started but I have to say that this year’s 29th WESCO Pacific Northwest Nationals at the Washington State Fair Event Center in Puyallup Washington was really a great one. There seemed to be tons of cars in attendance that I had never seen before. 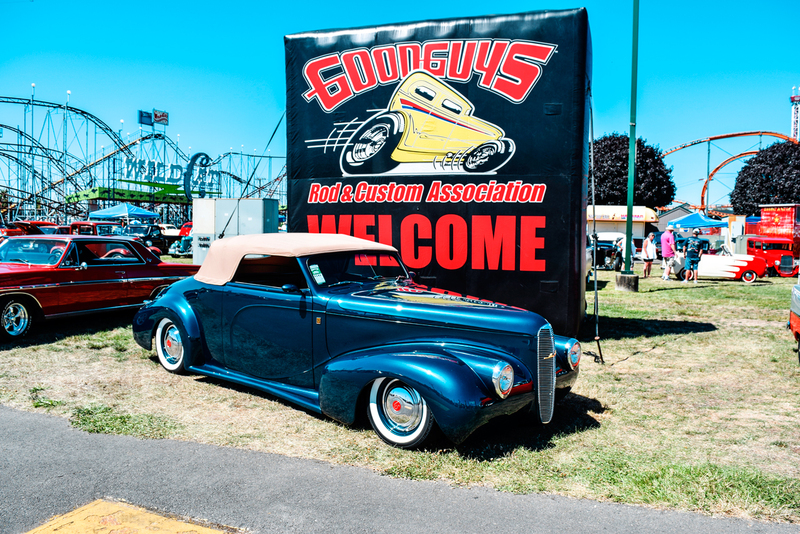 It’s really gratifying to an old car enthusiast like me to see that our hobby is going strong, in large part thanks to organizations like the GoodGuys Rod & Custom Association. Memberships and info are available on line. www.good-guys.com. The 2017 schedule isn’t out yet but check back on their site or better yet become a member and you’ll be notified when the new year schedule is out and come check out the fun next year. Lyn St.James is more than a retired racecar driver. 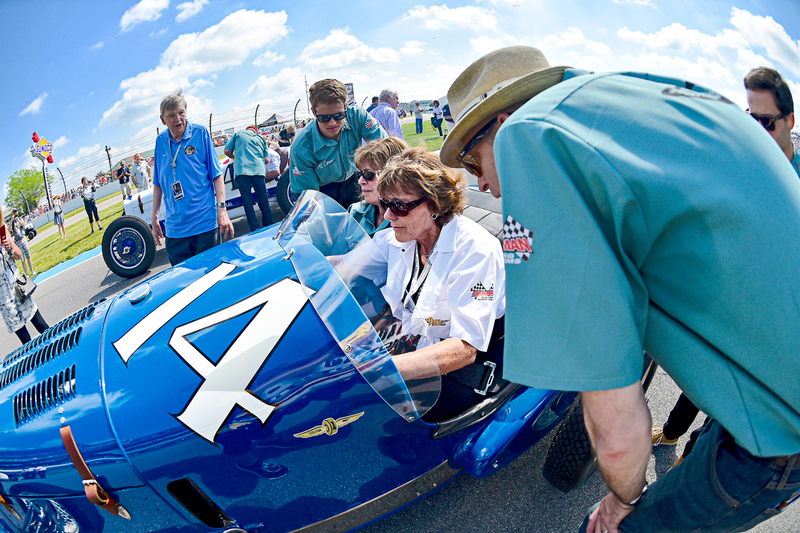 While other previous Indy500 participants fade into obscurity, Ms. St.James tours the country giving talks, encouraging the next generation to join the circus of motorsports and tells tales about her career. Ms. St.James has quite a few stories to her impressive resume. 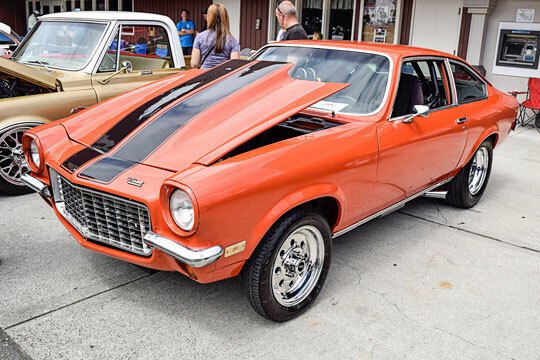 She started racing in 1974 with a Ford Pinto (that she immediately drove into a lake). 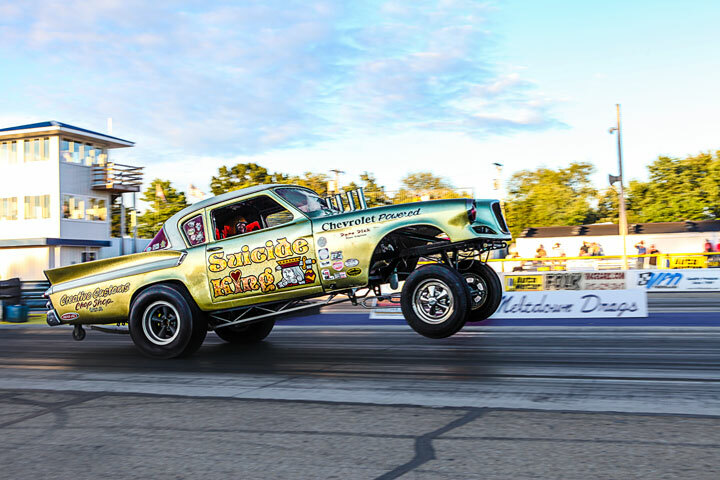 By 1979 she competed nationally as a professional driver. 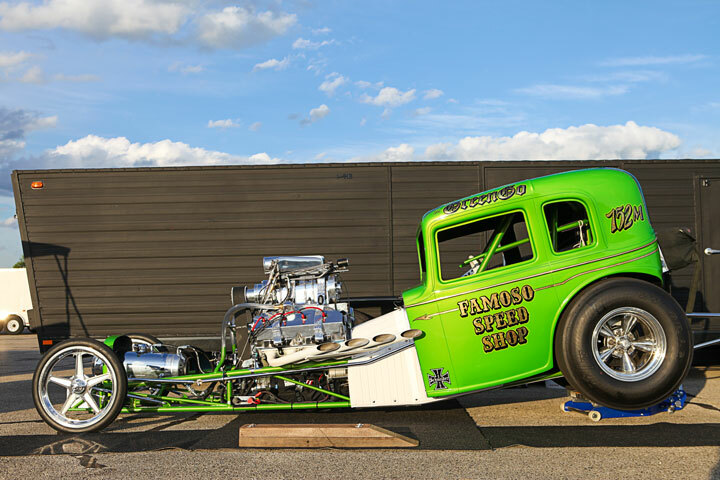 Ford had faith in her talent and she worked her way up into bigger and faster road racing divisions. Her top accomplishments include winning the 24 hours of Daytona twice (1987, 1990) and the 12 hours of Sebring (1990). This road led her to competing famed racecourses like LeMans and Nurburgring. In 1992, eleven years after visiting the most iconic race in the world, St. James competed in her first Indy500. She would win the Rookie of the Year title, finishing 11th- the first woman to hold that honor. She has competed against legends Mario Andretti, Nigel Mansell and Rick Mears, all while facing the adversity of being a woman in a male dominated sport. 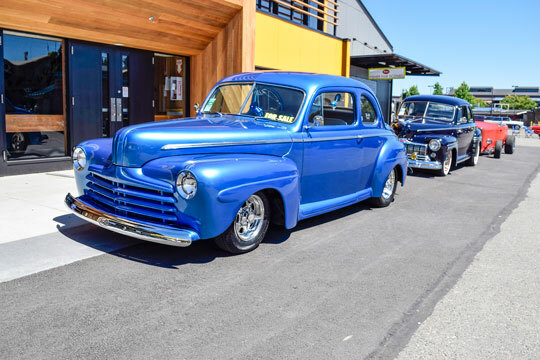 This last summer Ms.St.James came out to speak at the World of Speed motorsports museum in Wilsonville, Oregon to promote their impressive Heroes and History Indy500 display. I had the wonderful opportunity to interview my idol further about the centennial Indy500, her training habits, and even politics. What continues to impress me about Ms. St. James is her quick and candid frankness when answering my inquiries. This is a sampling of some of my favorite answers. The last time we talked was out at Indy, I saw you just before you got behind the wheel of a vintage Indycar. Tell me about that experience. How did that all come about? That actually came as a result of the IMS museum. They organized that exhibition. 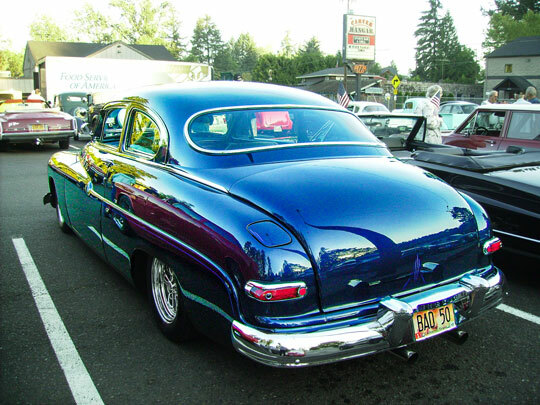 Some were museum cars owned by the museum and some were independent owners. I was asked if I wanted to drive one and I said ‘certainly’. 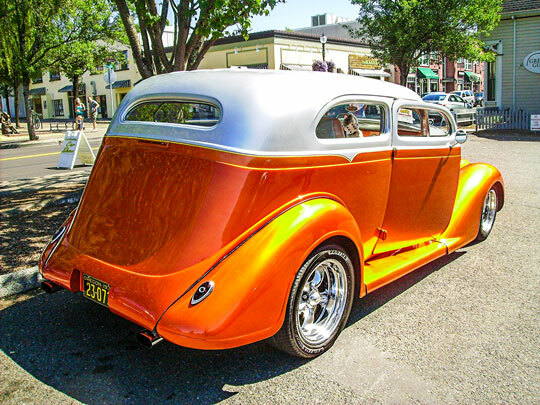 The car that I was driving was the 1935 Pirrung that Wilbur Shaw finished second in the 1935 Indy500 and it is actually owned by a woman…It was really lovely, I didn’t know what to expect, those cars are not that easy to drive!…Two things she said to me, one was to be careful as we got out onto the track because that was a fairly tight turn, almost a U turn. She said that if you turn the steering wheel too tightly it will override the steering box and you will lose your steering. The other thing was that there was this handpump that she had to use to pump oil into the engine. She wasn’t just a passenger! It has been 24 years since you won the Rookie of the Year at the Indianapolis Motor Speedway. In those years how have you seen the sport change? It has gone through a number of changes. The most significant are the improvements in safety, both the tracks as well as the cars. The demands of the increased downforce and physical capability that is needed to drive these cars has demanded that these drivers be amazingly fit athletes. The technology has taken leaps. The equipment itself has changed. I look at those cars, and I talk to some of the drivers, and I read about what is like to drive them and I scratch my head. I know that it is well beyond what my skills are able to do. I admire and I am in awe of what those competitors are doing right now. If you could have anyone as your teammate, who would you want and why? Rick Mears. Just because his driving style and mine are probably what I can tell are the most similar, and he is very open and willing to share. He is one of my idols and that would be my choice of teammate. In your opinion, who is the most underrated female racer (and yes you include in that pool)? (long pause) That is a tough question. One of the things that I learned a long time ago was to never expect, anticipate or judge other people’s opinion of my skills because if you do, you are down a downward spiral. We have enough challenge to control our own self doubt, our own internal thoughts. When you allow other people’s thoughts to penetrate your brain and process those, you are in dangerous territory. There are some people that overrated my driving and those that have underrated it. I don’t value that… the key people that I really regarded was the respect that I would get from my teammates and from my owners, my crew. If you had one piece of advice, one takeaway from listening to your speech and your stories, what would it be? You have to have the confidence and believe in yourself. If you rely on lap times and external opinions, whatever. If you rely on external information to feel good about who you are, then you are in quicksand. You have to figure out how to have that confidence in yourself, and it ain’t easy. It comes from lap times sometimes, but if you rely on that you are really set up for failure. I remember the photo on the cover. It was the August 1969 issue of Road & Track magazine. Pictured is a slender, bearded man with a receding hairline. He is wearing a dark two piece suit and a skinny black tie. He is gazing downward and smiling. At his feet is a prototype of the flattest, lowest profile race car you have ever seen. It is the original Shadow Mk. I and man photographed beside it is its owner, Don Nichols. Mind you, the concept was not his own. A 31 year-old designer named Trevor Harris conceived of the idea and Nichols decided to finance it. Nichols was a virtual unknown in the southern California racing scene at this time. He was a former Military Intelligence officer who had made his fortune in Japan. He had been a major motorsports figure over there, importing tires and parts, even promoting racing. To achieve the ultra-low stance, the Shadow needed small (but wide) racing tires which Nichols convinced Firestone to make for him. The project generated a ton of publicity but the concept didn’t really work. The Shadow was entered in a handful of races in 1970 but failed to finish any of them. 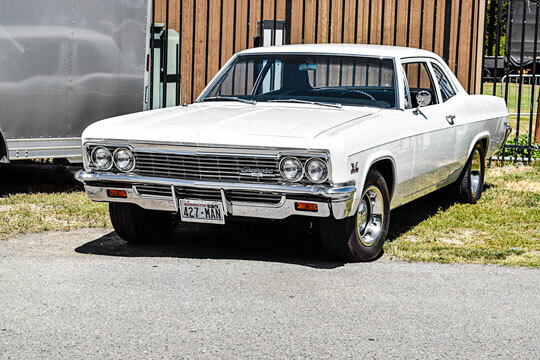 What was essentially a go-cart with a fuel injected Chevrolet V-8 engine, rocketed down straightaways and resisted turning. The Mk. I was parked before the season ended. For 1971, Nichols hired two Englishmen who had proven track records. Designer Peter Bryant would pen and construct an all new Shadow and Formula One ace Jackie Oliver would drive it. The Mk. II had bigger wheels than the original but smaller than their competition. Other than that, the rest of the racer was pretty conventional. Nichols also procured Universal Oil Products (UOP) as a sponsor. It was an association that would forever link them with the Shadow racing team. The Bryant/Oliver effort was competitive from the get-go but failed to finish many races. By their third year racing, the Shadow Team had abandoned the small tire concept. The Mk. III was the Mk. II chassis reworked and fitted with normal size tires. Bryant and Oliver continued to run up front but couldn’t win and still suffered reliability issues. Aspiring to race Formula One and feeling an obligation to his sponsor, changes were mandated for 1973. Nichols retained Oliver but released Bryant and moved his entire operation to England. There he employed the services of Tony Southgate to design a new sports racer as well as a Formula One car. The team had been experimenting with a twin turbo charged engine for the two-seater and Southgate designed the DN2 with that in mind. Unfortunately that engine was never fully developed so the new Shadow was forced to soldier on with a weight disadvantage. The results were predictable; Oliver remained competitive but zero victories were achieved. Meanwhile Shadow’s Formula One debut (DN1) in which Oliver also contested along with original Shadow pilot George Follmer, fared better. 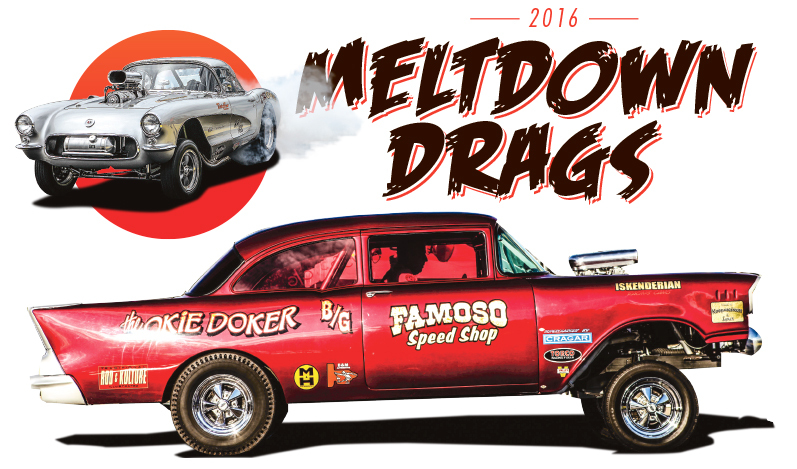 Both drivers captured third place finishes in an inaugural season filled with ups and downs. Southgate refined his two seater design around the normally aspirated Chevrolet for ’74 and produced Nichols’ first winner. 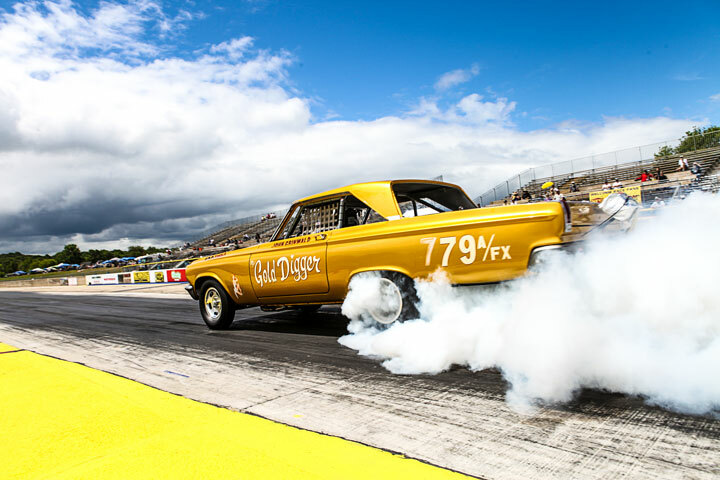 Oliver and Follmer dominated the final season of unrestricted sports racer competition, frequently bringing their DN4’s home first and second. The team’s fortunes in Formula One were mixed. There were successes like when Jean-Pierre Jarier captured the pole position for the first two races in 1975. Brit Tom Pryce won a non-championship race for the team in ’75 but then was killed driving a Shadow in the South African Gran Prix two years later. Aussie Alan Jones claimed Shadow’s only Formula One victory in Austria in 1977 then left the team to drive for Williams. Both Oliver (who had stepped out of the driver’s seat and was now in a management role) and Southgate left Shadow at the end of that year as well, to form a team of their own. 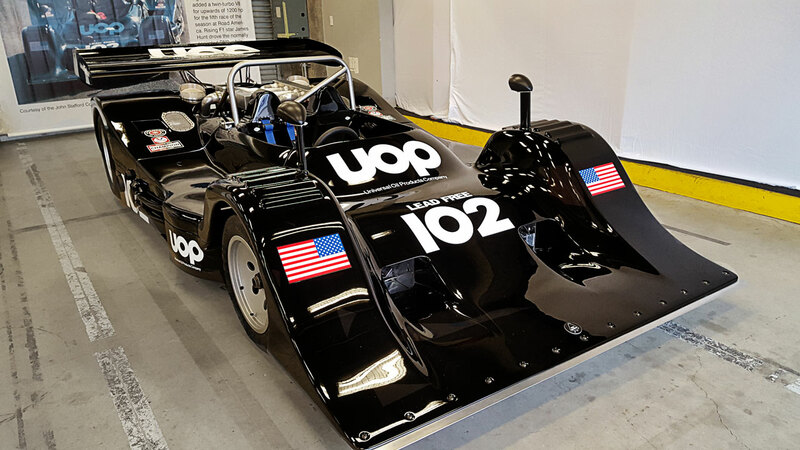 Ultimately Shadow lost UOP as their sponsor and by 1980 they were struggling just to make the starting grid. Late in the ’80 season, Chinese businessman Teddy Yip simply absorbed the Shadow team with his own and Don Nichols was out of racing. 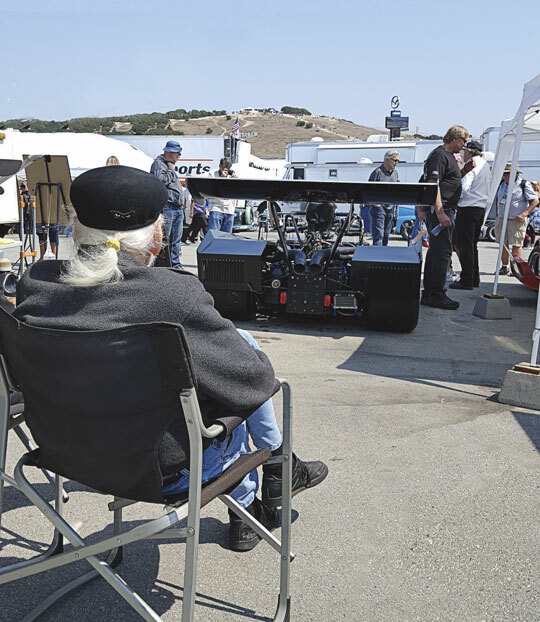 Thirty six years later, the only place you’re able to watch a Shadow race car at speed is at a historic racing event like the Monterey Motorsports Reunion. Here, there are a surprising number of Shadows, between the sports racers and Formula One cars, they total nine.